Trees, like people, can delay the mortal fall with canes and crutches. Above, timbers prop up an elderly specimen at Longwood Garden near Philadelphia. 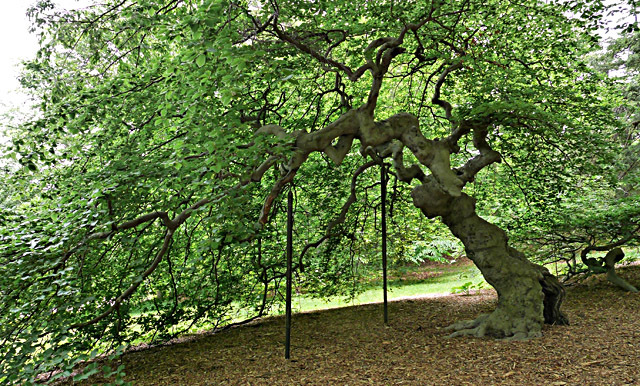 Below, poles support a shady hideaway in the Arnold Arboretum, Boston. And back home in D.C., we deployed two-by-fours to help retrain a big old mugo pine after a monster snowstorm bent it low in our front yard. 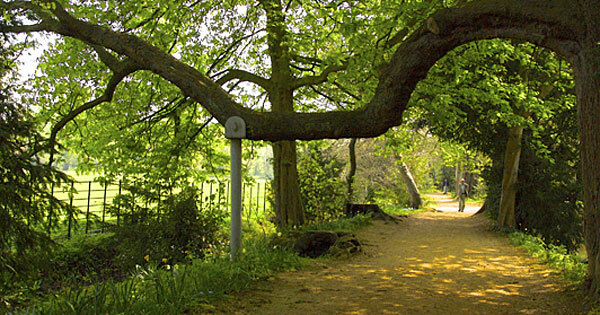 But crutches seemed most common around Oxford University, where trees (like U.K. residents) can count on assistance to deal with their infirmities. Below, at left, a metal pole supports a limb that had overextended itself across a path as it reached for sunlight. 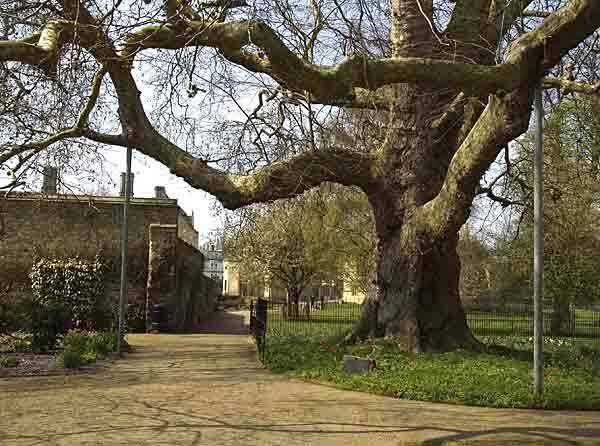 Not far away on college lands in Oxford, below, metal poles prop up two endangered limbs of an ancient tree. 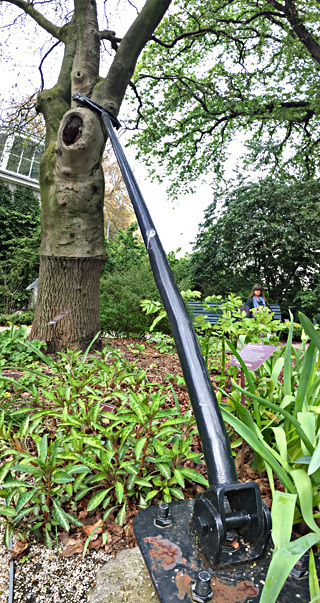 Across the English Channel, the Amsterdam botanical garden props up a Manna ash (or Plume ash), at left, that’s more than 100 years old. An unnatural ring around the tree reveals another human intervention on its behalf: This southern variety of ash was grafted onto the trunk and roots of a common ash that’s winter-hardy in cooler latitudes.